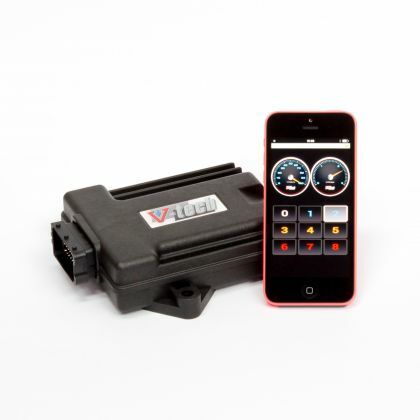 The fifth generation of PowerChip for automotive tuning developed by V-tech, inventors of PowerChip for Diesel (patent: WO2008130257A1) is controlled wirelessly by iOS (iPhone and other devices from Apple) and Android based devices. WiFi and Bluetooth technologies allow you to control the car power, change programs, switch the PowerChip on and off and have many other capabilities. The new PowerChip offers a full control over the power changes, not only load and rotation dependent, but also the control of the power dynamics over time. Encapsulated automotive-style housing with replaceable wiring harness allows the use of PowerChip with different engines/cars. This facilitates the adaptation of a PowerChip for a new car; moreover, it allows distributors to change PowerChip type via the software. Applications for the latest PowerChips are available for free download from Google Play (Android ) and App Store (iPhone). 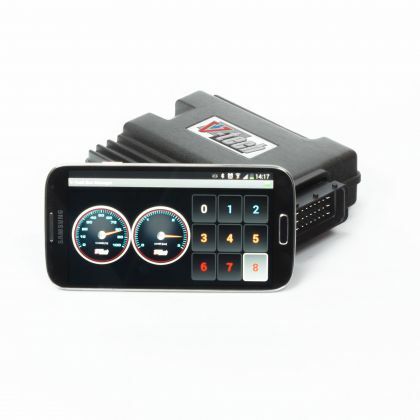 You can buy suitable diesel PowerChip with proper plugs for your car directly from us. Just contact us at tuning@vtechtuning.eu and order your module (PowerChip). special needs – we can produce wide range of PowerChip with virtually any chasis, options (like led diodes, displays, remote controlled, bluetooth programmable – and many more). It's up to you and your fantasy. Diesel modules are a category of products of which the principle of operation is based on modification of the control signals and signals from the sensors outside the engine computer (ECU). The offered solutions have been developed in such a way, that the effects of their operation are similar to the effects of chiptuning. Such modifications are sometimes the only possible ones – e.g. if the car computer is single-programmed and non-reprogrammable, if the engine is controlled parametrically on the basis of simple logical circuits instead of a microcontroller. Modules can be very easily installed and removed from the car. It usually takes just a few minutes. Click here for installation instructions list.